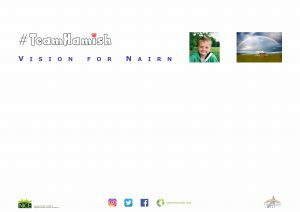 We were very excited to unveil our #TeamHamish ‘Vision for Nairn’ on Wednesday 20th June at a public meeting. You can now view a film of our presentation here and a PDF of our slides. We welcome your feedback via email info@teamhamish.org. ← Primary 3 at Rosebank Primary – #TeamHamish 💙 garden.